Life belongs to the unreasonable. Life belongs to the ones who break their own mold and decide they need to do THEM. It seems unreasonable to take a higher level job when you’ve never done the work. One client recently was coached on taking her truth and power to be a new Team Lead, never before, direct reports, lots of them….unreasonable, at least some would say! When you listen to reason and reasonable people…..you do nothing new. The “you can’t” drowns out the desire. The “you shouldn’t” kills the spirit. The “you aren’t capable” is fueling fear in the heart and soul! Of course you can, you should and you are capable. When you listen to reason you won’t expand, you never do the thing you haven’t done. When you let others tell you you can’t, you always lose! When you let others convince you what is and isn’t possible for you, your soul will surely shrink. For my clients, often, I am the one shouting yes, you can, you should and you are capable. I see what’s possible BECAUSE, I have the tools and techniques. When you listen to those who have been where you want to go, they have answers. I see what is possible. I know what’s on the other end of a job loss, or a bad boss or a promotion that didn’t happen. You see, the brain is wired to protect you from danger. So, the second you feel uncomfortable, your danger system kicks in and then, the real death of your soul comes…..
You begin to RATIONALIZE your fears and agree with the smallness of your decisions. We are very quick to RATIONALIZE our situation. “Everyone I know who gets a promotion loses their family/ life balance.” We convince ourselves of this and when we talk to friends they agree. They help us be reasonable. This is not going to help us grow. LIFE’S beauty, freedoms and joys come from unreasonable choices. Talk action…go for the interview, ask your boss for a promotion, take your friend up on the offer to be introduced into their new company. You don’t have to do something “crazy” to break free. You need to do something you haven’t done before to have an outcome you haven’t had before! You must be the UNREASONABLE version of you. Boldness comes before joy and freedom and happiness. You must be a new version of you. Your identity must change…..YOU MUST CHANGE to have an outcome you haven’t ever had. What does it mean to scale the mountain higher? What does it mean to be an “A” player? What does it mean to create the life and career of YOUR making? Stop being so reasonable and being kept behind. Take a minute to be unreasonable and expect your career and life to be BETTER! That’s why you must do it, to have the life you desire. Break free and be unreasonable, just like Kimmy, who is now my Operations Manager. Hiring her was unreasonable and HER WORKING FOR ME WAS CRAZY! That’s why we are both blessed, we broke free of reason! Be inspired this week by Kimmy’s UNREASONABLE story! Listen HERE. 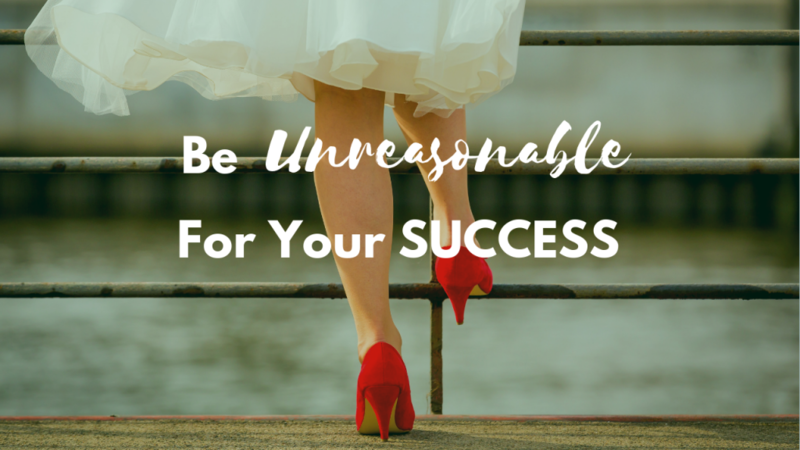 You can join Kimmy and hundreds of unreasonable women who are loving Monday’s and living the life of their dreams….as unreasonable as it once seemed! 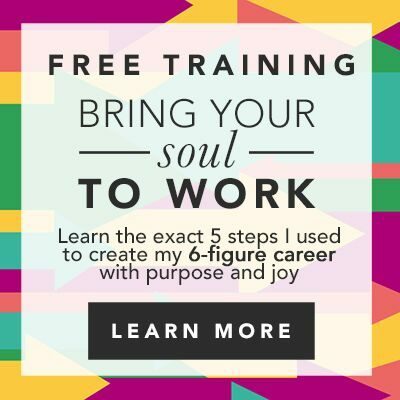 Ready to get unreasonable about your career join us for a free career clarity call! Dive into the best hour ever, book your FREE CAREER CLARITY CALL. Your soul is waiting for you to break free and be unreasonable!